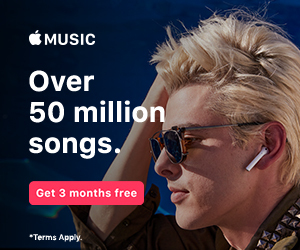 Listen to over 50 million songs, ad-free with Apple Music. Check out all the latest from your favorite artists, and up-and-coming artists. Plus, listen to songs and albums by NBC's The Voice, only on Apple Music. New members get three months free! Follow through the link to start listening to your favorite music right now.